Successfully bringing innovation to Japan for over 25 years! Oak Lawn Marketing International Inc. is a wholly owned subsidiary of Oak Lawn Marketing Inc., the omni channel marketing company known to consumers as Shop Japan. Oak Lawn Marketing International Inc. is the primary sourcing agent for all Shop Japan products coming from around the world. Shop Japan promotes products through all forms of media, and is present in over 50,000 store locations in Japan. Oak Lawn Marketing Inc. is an NTT DOCOMO group company. Oak Lawn Marketing International Inc. is your gateway to successful product marketing, and lucrative sales in the Japan market. Shop Japan is a lifestyle brand. We see it as our mission to provide products and services that address people's concerns, fulfill their wishes, and help them live the lifestyle that makes them happy. Slendertone uses electronic muscle stimulation (EMS) technology, which emits pulses to the nerves to contract the abdominal muscles. This imitates core and ab exercises like planks, sit-ups, stomach crunches and other bodyweight workouts. For great food faster, healthier and easier than ever before! Just like an assisted pull-up machine at the gym, this revolutionary strength and toning machine helps make the squat doable at any level. Tackling hard-to-clean surfaces such as bathroom counters, tubs, tiles, or windows just got easier with the Turbo Scrub 360 Cordless Power Scrubber. 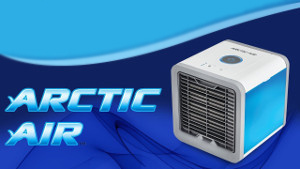 Arctic Air Cooler is a portable air conditioner that cools, purifies, filters, and humidifies the air around you. If you are a current vendor please click here.